VANCOUVER, November 17, 2015 – Global accessories brand Herschel Supply presents the Quilted Collection for Holiday 2015. Capturing the essence of winter comfort, diamond patterned stitching adorns a wide selection of backpack, duffle, accessory and headwear silhouettes. Available in timeless Army or Black tones, this seasonal offering is complemented by polished silver or gunmetal hardware, along with pebbled leather accents and signature Herschel Supply finishes. Backpack silhouettes such as the iconic Little America and drawcord-detailed Women’s Hanson join the Strand duffle, featuring snap-down sides and articulated carrying handles. Design driven accessories include traditional bi-fold wallets, along with zippered options that include the highly functional Avenue clutch, which has room for an iPhone 6s Plus. 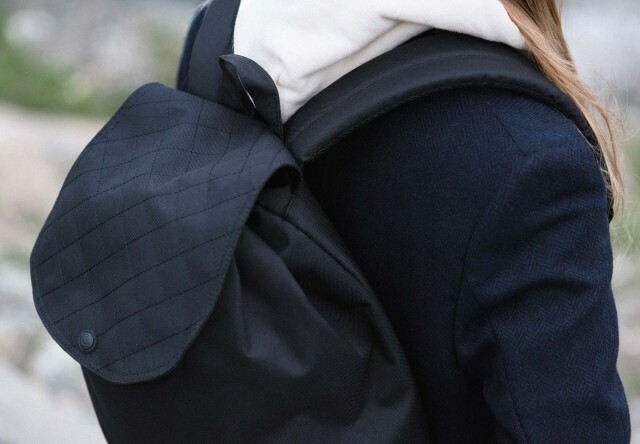 The iconic Little America and drawcord-detailed Women’s Hanson are among the five backpack silhouettes, joining the Strand duffle, which offers unique styling. Nine design driven accessories include traditional bi-fold wallets, along with zippered options such as the highly functional Avenue clutch, which has room for an iPhone 6s Plus. Crafted from diamond stitched nylon, lightweight headwear silhouettes complete the extensive Quilted Collection. Available in Army or Navy, the Glendale five-panel cap and distinctive Lake Bucket are lightly insulated cool weather essentials. The Quilted Collection for Holiday 2015 is available at select global stockists and at herschelsupply.com. Founded in 2009 by brothers Jamie and Lyndon Cormack, Herschel Supply adopted the name of the town where three generations of their family grew up. Based in Vancouver, Canada, Herschel Supply is a design driven global accessories brand that produces quality products with a fine regard for detail. Welcome to Herschel. Enjoy your stay.